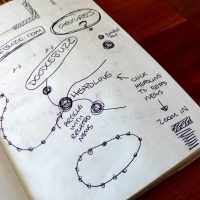 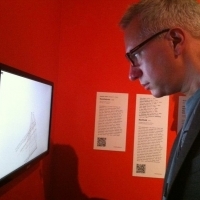 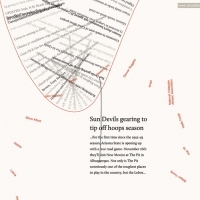 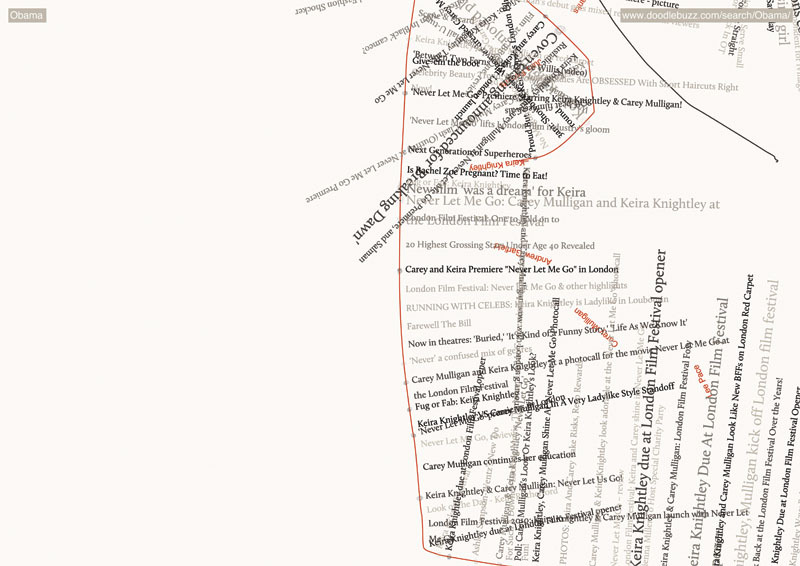 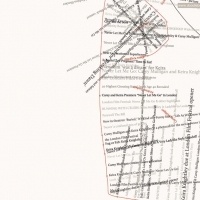 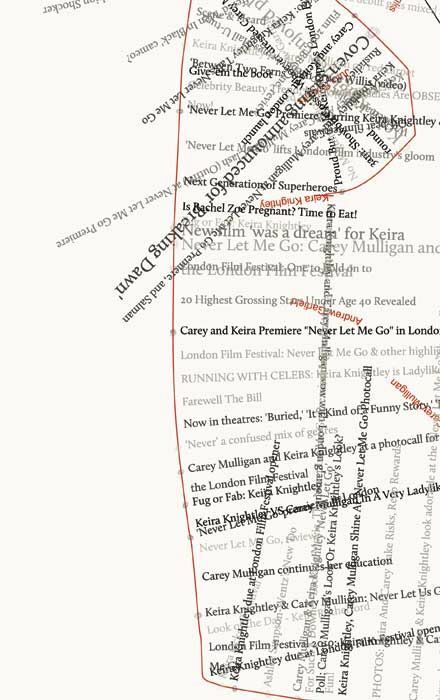 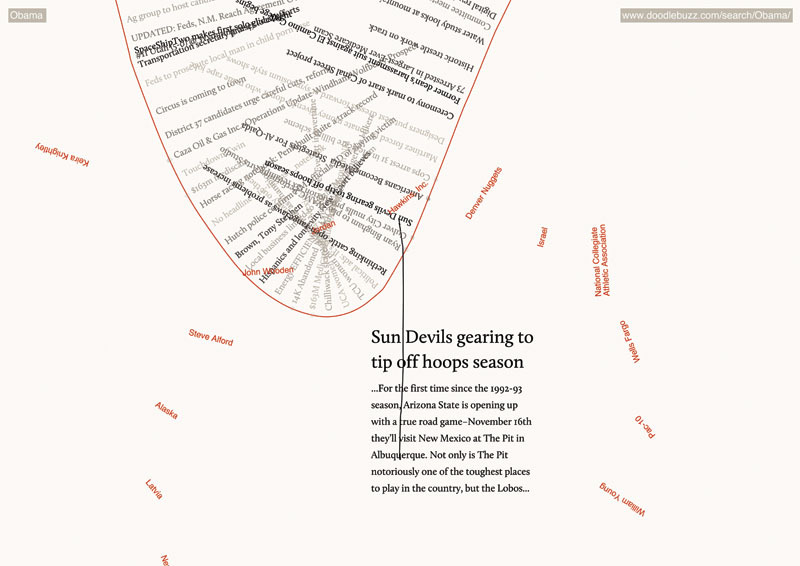 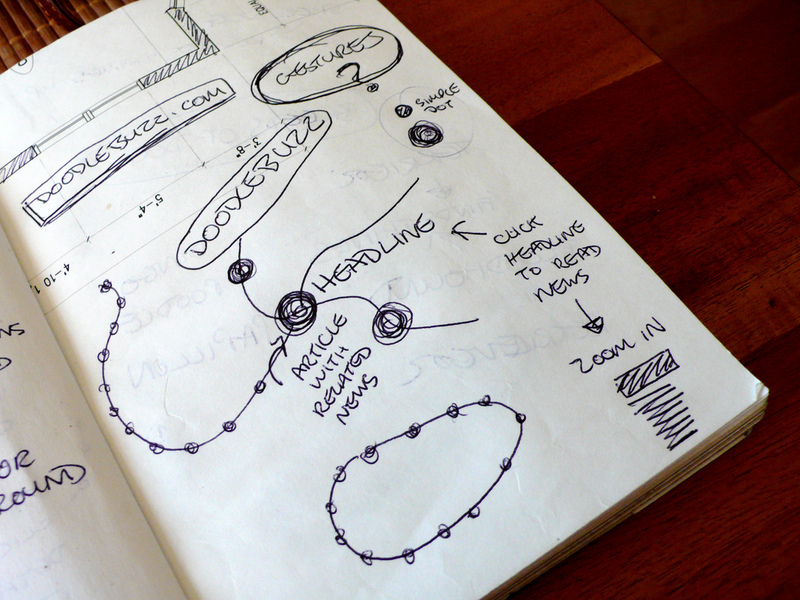 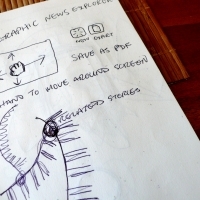 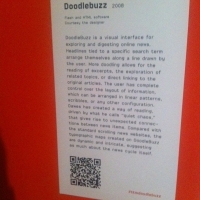 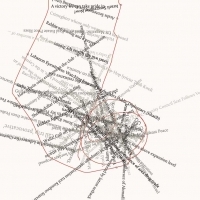 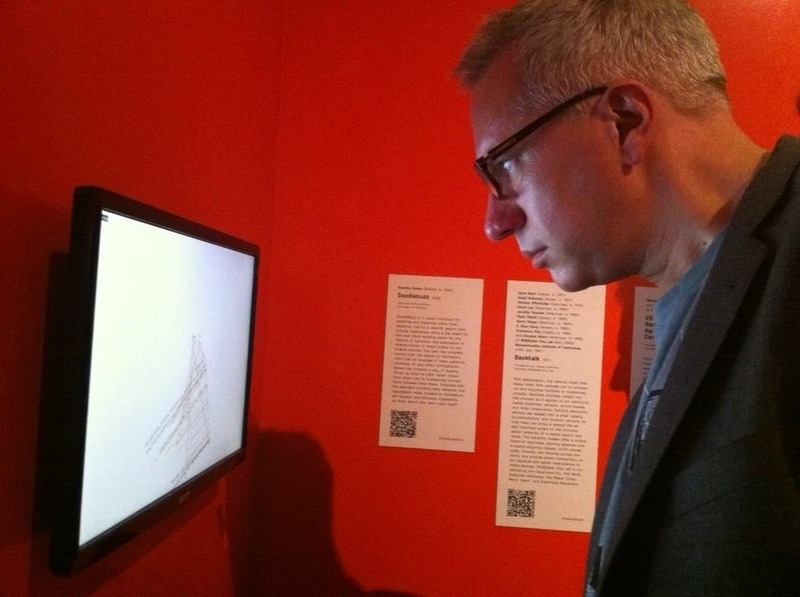 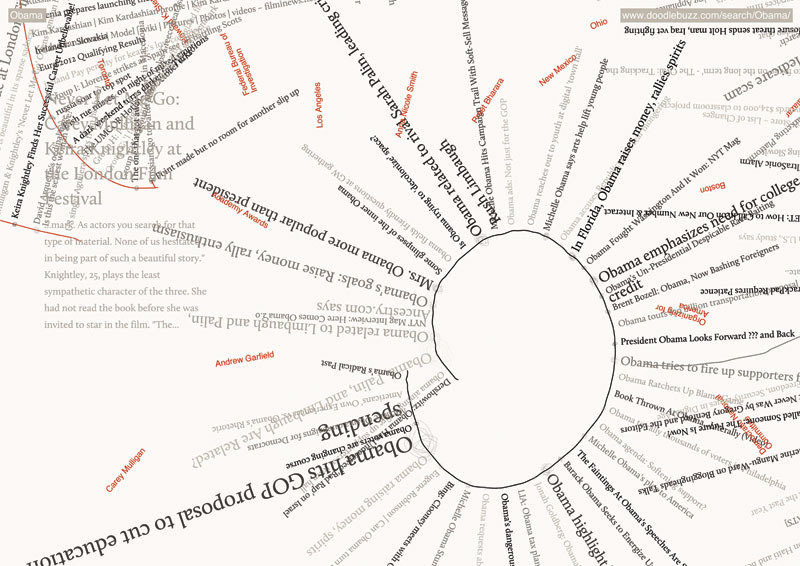 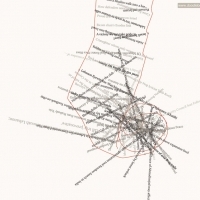 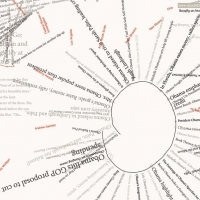 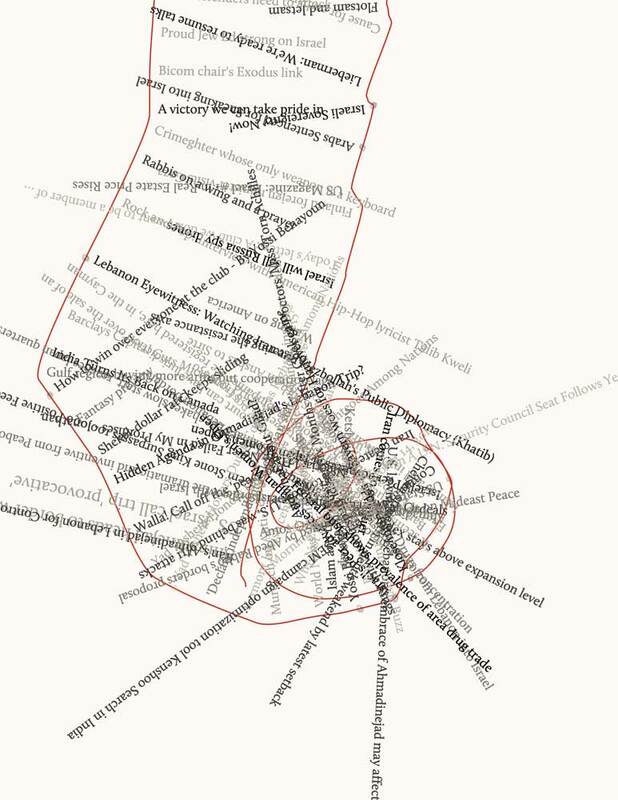 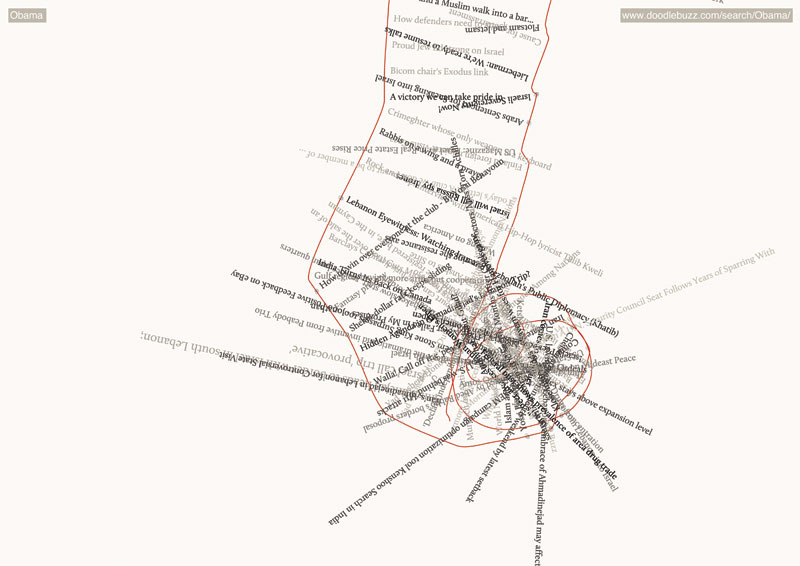 Doodlebuzz was a new way to explore the news through an experimental interface that allowed you to bump into connected articles and topics. 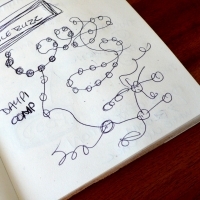 The Doodlebuzz draw-to-explore system creates a chaotic structure that allows for a greater level of serendipity than traditional linear paradigms normally allow for. 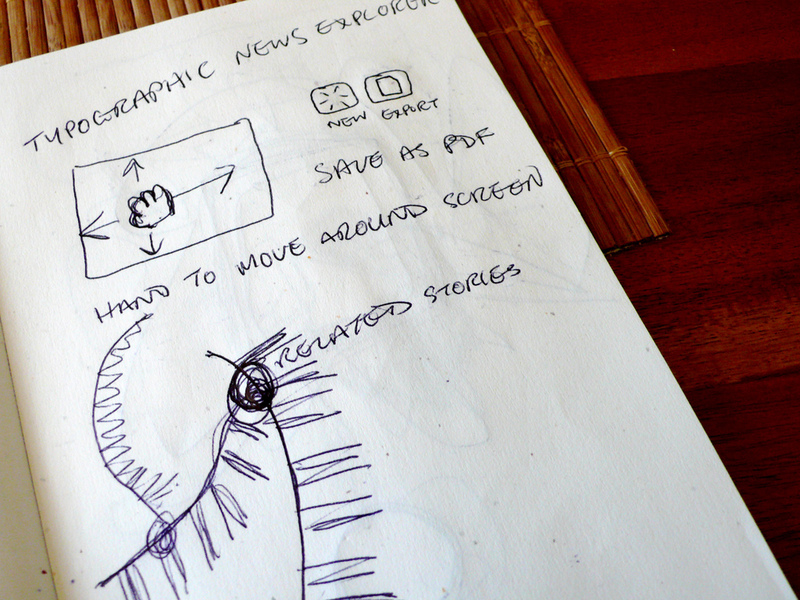 Whilst I would not like to browse Amazon in this way, Doodlebuzz is a startling and fun interface with playfulness at its core. 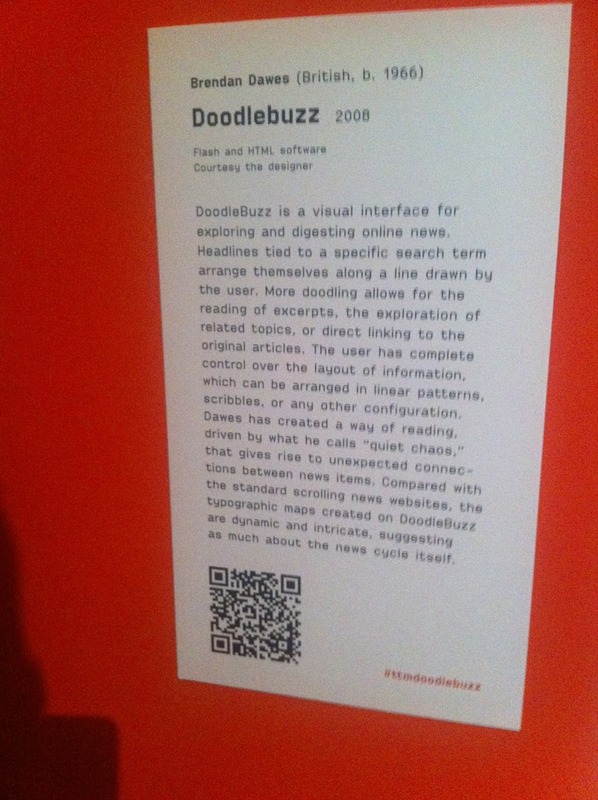 Doodlebuzz was a D&AD winner in the websites:interface category in 2009 and was featured as a decade defining site by Computer Arts in their Design of the Decade issue. 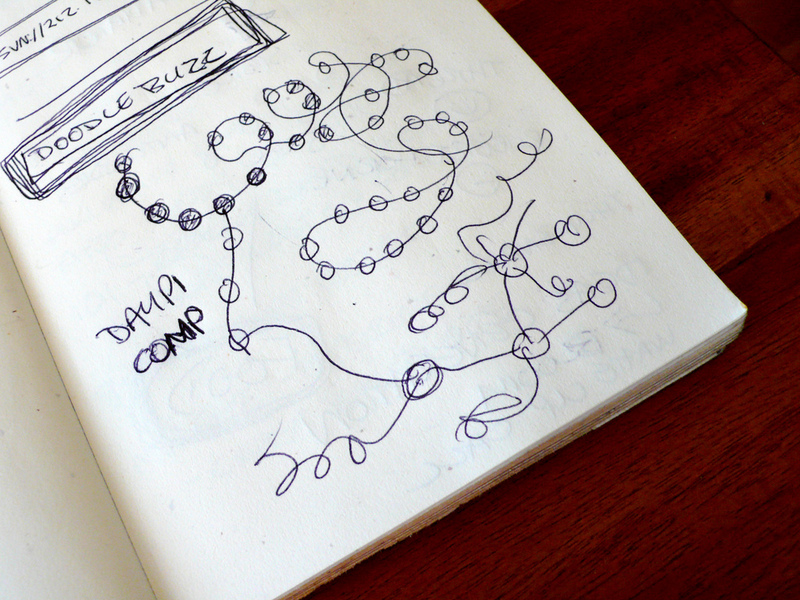 Runner-up in the Daylife.com developer challenge.